Ignite and accelerate a shift in business culture to value humans first. The original members centered around a purpose to: Connect, inspire and unite a network of leaders, influencers and caring global community members to support each other, embrace and lift others, celebrate our gifts, our diversity, our individuality; to infuse hope, achievement and happiness in professional environments and personal lives. Together we share our experiences, trials, successes to shine light on our workplaces and spark discovery through focused and open dialog. We inspire an outcome to: Discover why & how leaders are creating solutions that raise achievement, fulfillment, growth and wellbeing as they solve today’s biggest workforce challenges. For me, the journey began with a belief based on my experiences leading teams through transformation that companies will achieve more, profit more, grow faster, navigate disruption and rapidly expanding change by focusing on their people, putting Humans First. Amazingly, this shift in belief-system is the simplest and most effective fix to some serious problems. This cultural shift faces incredible resistance. Leaders are stuck in a fixed mindset and broken system. Over $1.5 Billion is spent annually on employee engagement yet only 15% are engaged 25% are actively disengaged worldwide. $1.3 Trillion annual spend fails 84% of the time with digital transformation projects and the human factor is the #1 cause. Workplace stress costs companies $300 Billion each year and may cause 120,000 excess deaths, making it the 5th leading cause. Mental and physical heath are on a disturbingly troubled trend. Mayo Clinic suggests your Boss has more impact on your health than your doctor, and 58% of managers have never received training, and most employees say they trust a stranger more than their boss. We caused this and we can change it. This craziness will continue without a major shift in priorities and the toll on people will be high, from goal attainment to, company growth to wellbeing. We’ve become so overloaded with process and best practices, control mechanisms that we are squeezing the happiness and life out of people, the human experience, beauty and joy out of contribution and achievement. Control is an enemy. Status quo is the enemy. We need to break the chains of control that remain in the grips of value extractors and empower the open-minds of value creators. Those in control will not let go, so we move around them. We know the problems, so let’s create the solutions. It is not one perspective, one preference or someone else’s responsibility. There will not be a single, universal fix for us to apply, we need to empower every small step from every caring soul. The answers to what can be envisioned, what is possible, will come from the inside, not the outside. We gather at the HumansFirst Club to explore, express and discover every voice, every heart that believes in a better tomorrow. Leadership in corporations today is in crisis. We have a leadership and culture crisis. Fear and greed have stood as the primary motivators for control. Performance and scoring measures are firmly tied to these drivers and we are hurting people, limiting potential and suppressing growth: Business growth, performance growth, individual growth. We are forced to assimilate to survive, comply to thrive and often sacrifice our values. The Wisdom of a Human-Centered Culture can create profound, sweeping change. It is time to infuse some divergent thinking into business to propel us out of this century-old pattern. This requires unlearning, letting go of the past. When we let go of the past, it doesn’t erase all our good work, it simply resets in the moment, allowing the best step forward. We need to shine a light on the exceptional behaviors and beliefs of people, their deep humanity, and re-energize them – not tell them to get happy in this dark hole we’ve dragged them down. This is an open exploration of understanding and change. Creating an opportunity for integrating the power of connection, belonging and multi-generational wisdom. When we shift our eyes forward we can take our finger off the rewind button and awake from the deceptive romance of nostalgia. We cannot go forward – backwards. HumansFirst Club will light up the shadows, reach out and bust barriers. Together we can raise the energy and impact of the kind and empathetic, the caring and giving. We will unite and be bold in our belief of wellbeing for others, ourselves, our communities and workplaces. All are welcome. People in every city, every country, every company and from every different background are connected in one powerful belief – we can do better. We deserve better. We believe love is powerful. This inspiring consortium is centered on an exceptional belief in human capacity and potential. These global events will infuse brilliant dialog, exploration and evidential review of successful endeavors. Participants will be fueled with optimism and curiosity, becoming empowered for continuous cultural transformation and business growth. With different voices, different experiences, different approaches woven into the common thread that love for other human beings, above all else, will conquer the current crisis. It’s a party not everyone will attend. It’s a small gathering, a minority of dreamers, leaders, authors, neighbors, co-workers, friends, coaches, advisors and influencers that believe in this truth. We come together to build a bond and support each other. To stand together, open, sharing, inviting dialog – creating opportunity. For those without a voice this is an opportunity. For those with a voice it is a responsibility to lift others. HumansFirst Club is about individuals, the environments we experience and our potential to create an evolved professional culture, HumansFirst Club will get the dialogue going to start addressing some of the opportunities and challenges that are unique to us, as well as those we have in common. By opening up and sharing our experiences and ideas, we dive into exploration of a better place, one that puts Humans at the center, expanding our capacity, capability and individuality. An environment of belonging and higher achievement through learning, personal growth and love. This discovery and the relationships within this network create a powerful force for change. Every voice is important, each individual is the difference-maker. Shifting business culture is not easy, pretty or always fun. HumansFirst Club is a fast-developing network that believes this needs to be done. The current state is not sustainable or healthy. Targeted discussions, discovering solutions and supporting a collective voice is a constructive manor to ignite change. Bringing people together, continuously, everywhere to have this very dialog will energize the strength to change. We will continuously build a community share these discussions to more people, invite more dialog and support more action. It will be a journey of many steps, so time to make moves. Reasonably, I am asked what that looks like, to elaborate. It is a fair question – the right question. We will explore this at our events, infuse energy into discovery, listen, learn, discuss and co-create ideas, opportunities, through open dialog and build a community of support for decisions, for action. 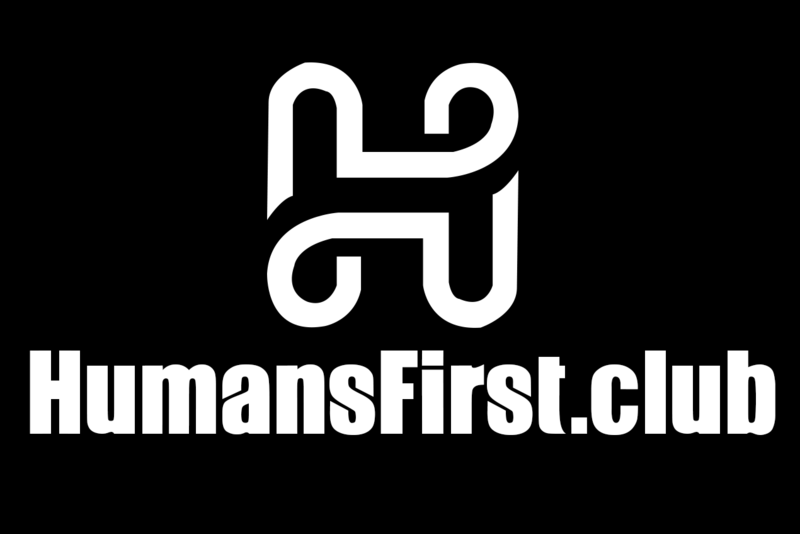 The HumansFirst Club is growing fast, into the thousands very quickly with people across the globe. You are welcome here, please join us. Thank you so much for this important movement! Can’t wait to see it blossom. Love this, MIke! I’m in! !